Compete against five cut-throat teams in the worldwide adventure spanning 30 locations. Race past spots like Niagara Falls in Challenge mode, or relax and explore at your own pace in World Explorer mode. 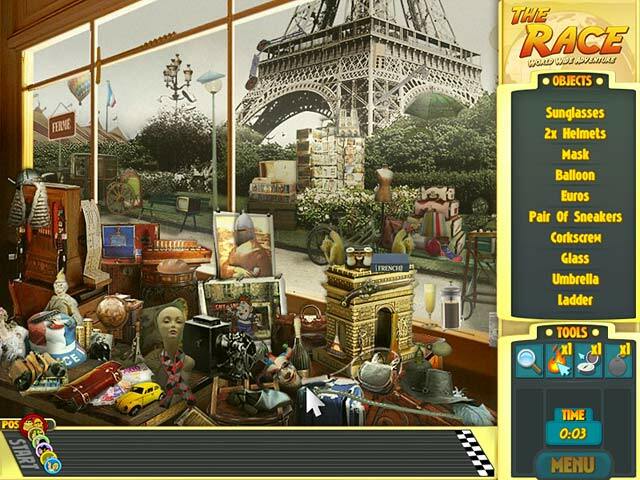 Sleuth for hidden objects using tools like a magnifying glass and a compass, or hurl a bomb to knock off a team in the lead. Blaze through 120 rounds in The Race World Wide Adventure and sharpen your scouting skills. 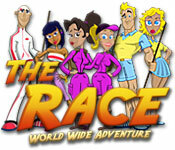 The Race is rated 3.6 out of 5 by 5. Rated 4 out of 5 by arnold1049 from DON'T WORRY ABOUT TIMED MODE I don't like games that are timed, particularly the ones that set the time limit at levels that are mostly unattainable. For this reason, I almost passed on this game. However, the description indicated that there was a non-timed mode of play and the HOS looked interesting, so I gave it a try. After the demo, I went ahead and purchased it. There are approximately 20 HOS with locations all across the world. The scenes themselves look like photographs. Some of the items are very small and extremely well-hidden. I played the non-timed mode first, which simply meant playing each location once. This made it a pretty short game, so to get my money's worth, I decided to try the timed mode. The timed mode consists of several teams of players competing against each other to find all the objects as quickly and with as much accuracy as possible. Each HOS is set up like a race, with the race track shown at the bottom of the screen that lets you know where your position is among all the other players. For each HOS, you get 2 hints and one "bomb" that will blow away your nearest competitor. One hint was of the "thermometer" variety where a flame flared or wanned depending on how close you got to the object. You have no choice as to which object the hint will focus on; it will always show you the first object in the list. This hint was hard for me to discern the differences in the flame, so I still found it hard to find the object. This slowed me down and made some of the races extremely close for me to win. The second hint is a compass, much easier to use than the flame. It actually starts spinning when it is sitting on top of the object and all you have to do is click. My strategy was to try to find all the objects I could, then use the hints on the last two to speed up my time. With the trouble I had with the flame hint, by the end of the game, I was trying to use only the compass hint. The bomb was not that helpful as usually there were two teams close to you and it only blows away one.I did have some very close races; I purposely came in last in a few, but was allowed to play the race over. One race I came in second, so got a silver cup instead of a gold. This location I could not replay. After that, my strategy was to slow down my play if one of the teams had already finished. This way, if I came in last I could replay the race and have another chance for a gold cup. 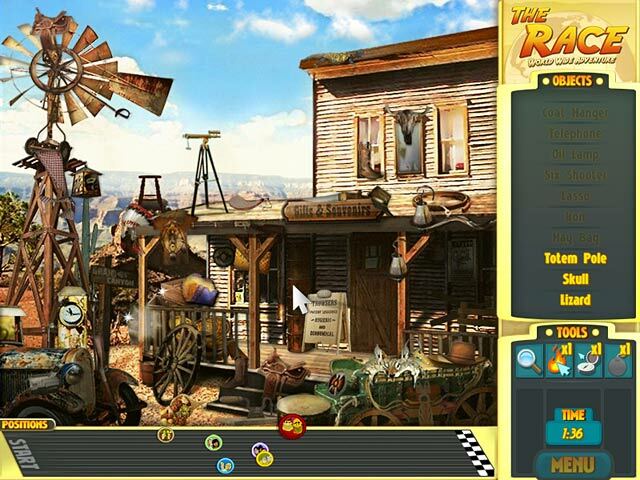 The race part of the game was very extensive and it takes you to each location several times over. Each time the objects that you need to find are changed and I never felt like I had "memorized" the location. Each time I returned to a location, it was still a challenge to find the objects in the available amount of time. This is a very enjoyable game and I hope we will see more in this format. Rated 3 out of 5 by mrm2006 from Boring....Yawn.....Yawn....Boring Did I mention how boring this game is? Oh yeah, I did. I did see this show on t.v. so I understood the premise quite well. Go about the world finding items and try to be the winner. Easy enough, except..... You have two modes to play: Challenger (timed, try to beat other teams) and World Explorer (relaxed - thought it wasn't timed - and you receive bronze, silver or gold trophies at each location). Graphics - lousy; visual - lousy; sound - good , Pros: The only good thing about this game was the tools you had to earn by finding additional items which are (I'm going to butcher this word) silhouetted at the bottom of your screen in black. You could earn apparently several of each - hot/cold, compass, locator and a magnifying glass (which is extremely helpful but time consuming to use). Cons: Everything else. The screen was a miasma of items placed one on top of the other - if I counted I'll bet there were hundreds of items to find and the list was maybe 12-14 items long. Also, these items were so tiny I quickly understood the importance of the magnifying glass tool. I was bored and only played for about 20 minutes - if that - and only that long because I LOVED the tools - so much fun! I am so sorry BF, I don't often do this, but this Glam-ma cannot recommend this game. Rated 3 out of 5 by LasVixen from Where's the umph Do you really want to spend your money on merely 'OK'. The graphics were ok. There was a suggestion but no real story. Some things were easy to find, others were harder but not worth the effort. The hints are vague. 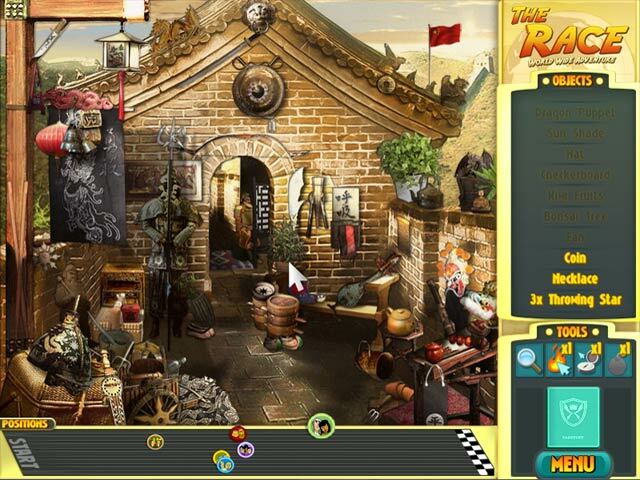 Blaze through 30 locations like South America and Egypt to detect hidden objects in this exciting race.